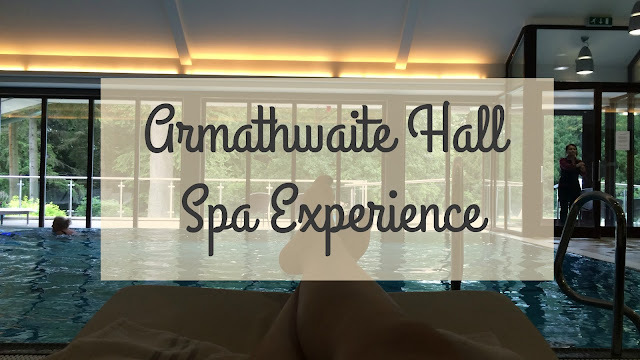 On Sunday afternoon after a very busy week with my 18th birthday and my end of school formal (aka prom), my Mum had booked to go to Armathwaite Hall Spa for the afternoon with a voucher we received as a Christmas gift last year. We were gifted the Parent and Teen Just Be Together Half Spa, so my sister, mum and I went and it had the most beautiful views which you can see from the outside jacuzzi and treatment rooms. It would have been a waste not to have taken advantage of it and treat ourselves to some pamper time! On arrival we were given a short tour of the facilities and what was on offer for us, were given our robes and water infused with lemon to refresh us while we relaxed by the pool, whilst waiting for our treatments. The beauticians that run the spa were the friendliest, welcoming staff. My mum had two treatments, a massage and facial, whereas my sister and I had a teen facial. We were instructed to lay on the beds and whilst we were given a full facial to remove dead skin cells and I must say it left me feeling brand new. We were moved to the 'hush room' to be wrapped up like mummies in heated blankets and a massive fluffy throw on top and left there for as long as we wanted to relax. I nearly dozed off, it was so relaxing! We were given a small fresh mango smoothie, a piece of flapjack and a glass of ice water to keep us refreshed. I've never been so relaxed in my life. The afternoon was well spent resting and relaxing, having well earned time together. I took some beautiful photos, so I wanted to share my experience with you all.